Silhouette Of Young Beautiful Girl Practicing Yoga On Surfboard.. Stock Photo, Picture And Royalty Free Image. Image 65248523. 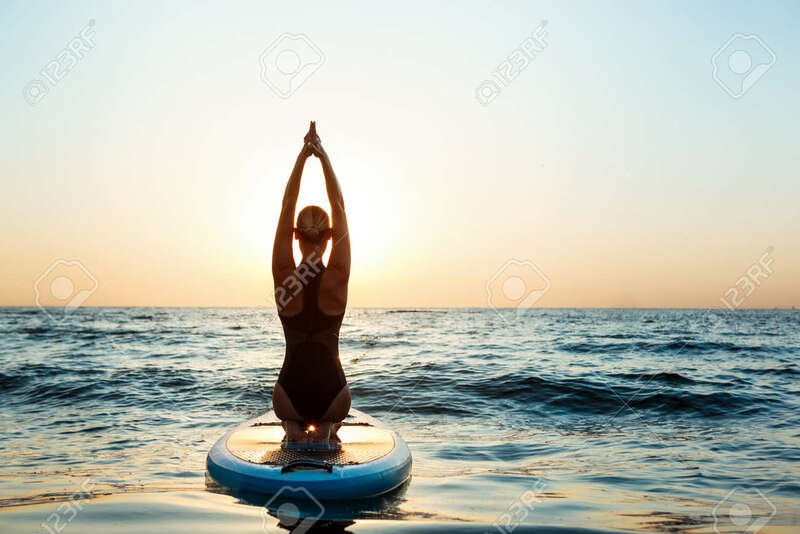 Stock Photo - Silhouette of young beautiful girl practicing yoga on surfboard in sea at sunrise. Silhouette of young beautiful girl practicing yoga on surfboard in sea at sunrise.